As has been previously discussed, it takes enough perseverance and patience for your blog valid amp. Because it does not necessarily require only a valid template, but also you have to edit the previous articles that are not in accordance with AMP language writing guidelines. Then how to write articles on bloggers for valid AMP? Here we will explain with the picture. If you create a new article with a valid template amp, please note that some features such as changing the font in the article, and coloring the text are invalid. Also if you have uploaded and installed the image, you need to change Composemode to HTML mode. And change the code <img> to <amp-img>. For valid amp, you need to edit your old articles and change some code. 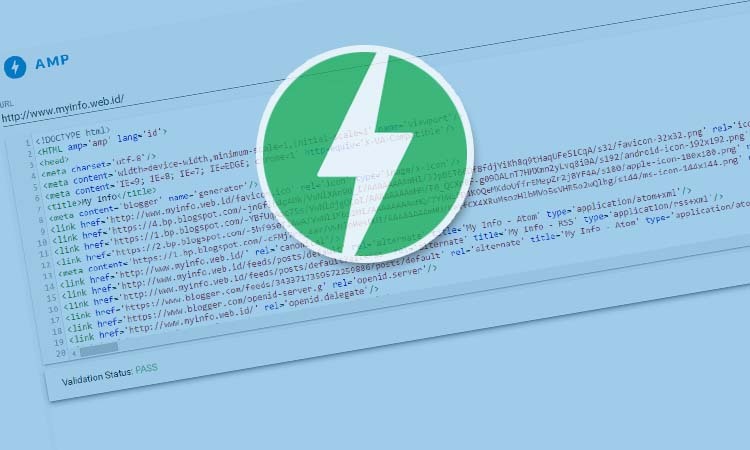 Here's how to make it easier to edit those invalid AMP codes. 1. First, open the article you want to edit first. 3. After that, you format articles such as heading, blockquote and even text that has been bold will return to normal. 4. After that please format again but without entering the style code. If you have already changed the html code for the image, the image will automatically not be visible, nor will the thumbnail appear. To bring up thumbnails, add <noscript> .... </ noscript> code on basic HTML <IMG>. 6. After that, please try publishing your article. If an error occurs, please find the error code. Use the AMP Validator extension in chrome or your firefox to find out the error code.. Similarly an article on How to Make All Blog Post on blogger valid AMP automatically. So and do not forget to comment.